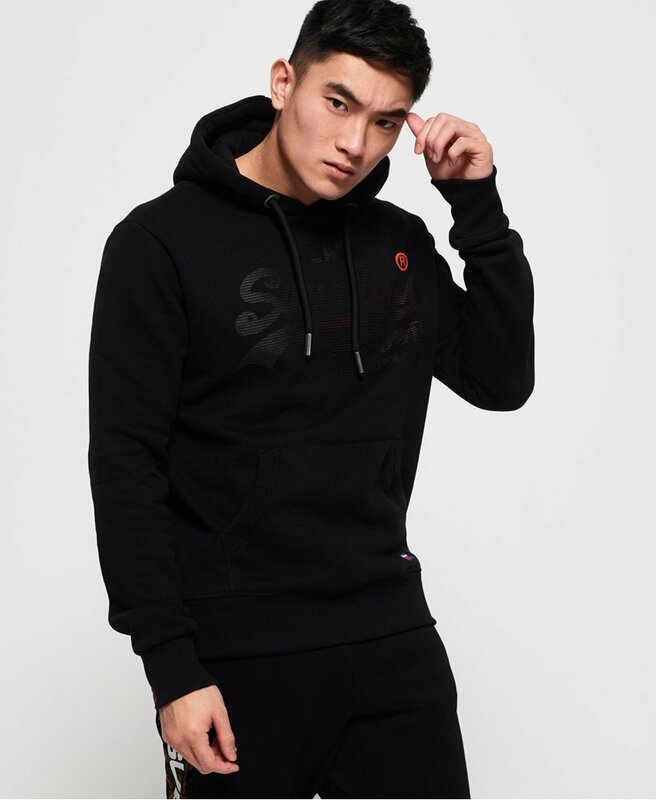 Superdry men’s Real Logo 1st hoodie. This overhead hoodie features a drawstring adjustable hood, a front pouch pocket and large Superdry logo graphic across the chest. Completed with the iconic orange stitch in the side seam, the Real Logo 1st hoodie will look great styled with jeans and trainers, or can be layered under a gilet when the temperature drops.